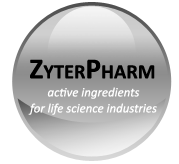 We develop, produce and sell high quality, value-added active ingredients for life-science industries, custom to bulk production. We dedicate ourselves to technological innovation, think high of the talent of people, adhere to good qualities, and high efficiency. We believe that good qualities are the results of high technologies and high responsibilities, instead of ‘high costs’. Our team members are made up of talented scientists and engineers on different sections of life science technologies, full-time and part-time. We are able to provide full spectrum, one-stop service to our clients, while keep flexibility, efficiency and low costs. We are good partner for generic and proprietary projects.